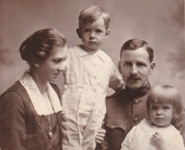 The Akron Summit Public Library holds classes on Genealogy each month. Click on the link to see the list for the first half of 2019. 1)1883 Military Pensioners of Southwest Ohio - Volume 4 of the series. This volume covers pensioners from nineteen SW Ohio counties: Adams, Brown, Butler, Champaign, Clark, Clermont, Clinton, Drake, Fayette, Greene, Highland, Madison, Miami, Pickaway, Pike, Preble, Ross, Scioto and Warren. 2) Copley Township Cemeteries - 3 cemeteries ( Copley, Montrose, Stimson ), atlas maps from 1874, 1891 and 1910, Veterans Honor Roll list, Perrin's township chapter and a present day Copley Township history by Howland S. Davis, II printed in THE HIGHPOINT newsletter. 3) Green Township Cemeteries - 3 cemeteries (East Libery, Greensburg Union, Klinefelter ), atlas maps from 1874, 1891 and 1910, Veterans Honor Roll list, Perrin's township chapter and a present day Green Township history by Carol Lee Wells printed in THE HIGHPOINT newsletter. 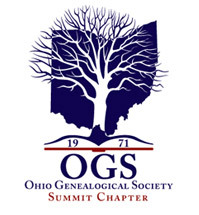 The Ohio Genealogical Society (OGS) Library is open free of charge to OGS members. Non-member visitors may utilize all materials in the library by paying a $5.00 per day fee. Ample parking is provided free of charge. All public areas of the building are handicapped accessible. The Library is open Tuesday through Saturday 9:00 AM—5:00 PM. It is closed Sunday, Monday, Major Holidays, during the annual OGS Conference, and when Mansfield City Schools are closed for inclement weather. The Stanley and Marjorie Meek Ellis Computer Room features 16 patron stations and an instructor’s monitor with access to the Office Professional Suite and many subscription databases. Free WiFi is available throughout the building. OGS offers several choices of microfilm/microfiche readers and scanner/copiers. Patrons may make photocopies of books, manuscripts, and print from the computers for 20 cents per page for letter or legal sizes. Ledger size (11”x17”) copies are 40 cents per page. Color photocopies are $1.00 per page. A lunchroom with refrigerator and microwave is available for patron use. Snacks and beverages may be purchased. Several restaurants are within a 5-minute drive. Cyndi's List has assembled a collection of more than 325,000 digitized genealogy and family history publications including family histories. OGS 2019 will offer the tools and skills you'll need to help build your heritage. - DNA - Ethinic - Land Records - Methodology - Military - Ohio - Problem Solving - Social Media - Technology More details and brochure will be available closer to the event. Learn about the unique resources available from this database including military records, city directories, naturalization records, and more. This class meets in Computer Lab 1, First Floor, Main Library. Registration requested; call Special Collections at 330-643-9030 or email them at speccollections@akronlibrary.org .